Oh, the places you’ll go--in Multihulls! It’s a familiar phrase from Dr. Suess’s children’s book, but it’s a way of life on a cruising catamaran. 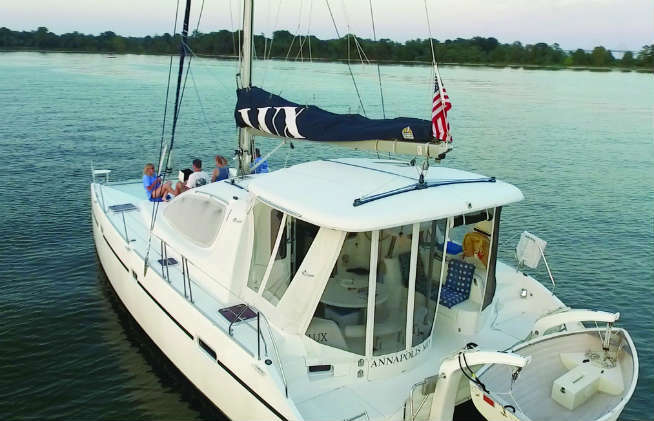 Aside from sailing fast and flat, one of the best parts of cruising multihull life is arriving somewhere and getting to stay in a roomy, comfortable boat while exploring a new place. It’s the best of both worlds. 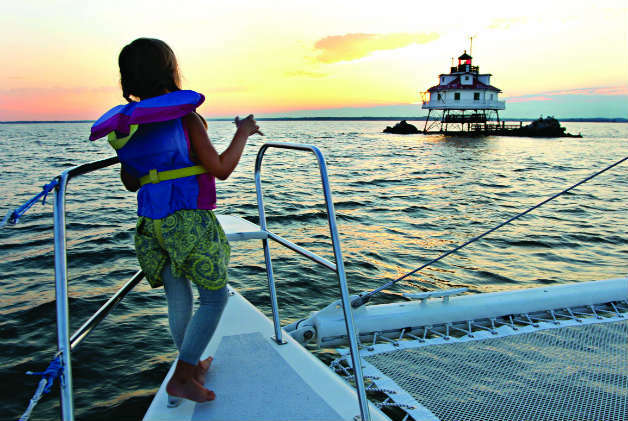 The Chesapeake has so many destinations to explore by boat that you can’t see them all in one sailing season. In fact, it’s hard to see them all in a decade of sailing seasons. 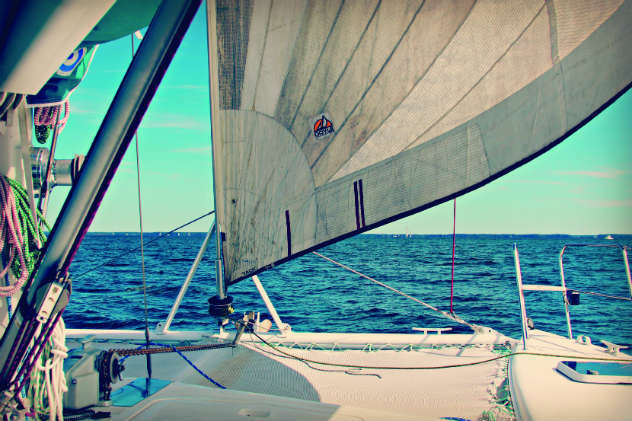 The Bay is filled with gunkholes for any boat, but the shallow waters of the Chesapeake make it especially inviting to catamarans and trimarans. On the Southern Bay, Onancock, VA, is a favorite place to tuck in. Some deeper drawing monohulls might shy away, but shallow-draft boats and especially multihulls congregate here. There is a nice balance of nature and small town to keep just about anyone occupied. This is a place to treat yourself to a nice dinner, some good wine, and a stroll around town, but with none of the crowds or long wait times of some more well-visited destinations further north. Not too far from Onancock is Tangier Island. This is another spot where deep-keeled boats need to pass on by, and shoal-draft monohulls and multihulls get to explore this truly unique community. You won’t find a list of chandleries and cafés in a guidebook, but you will find what you need and find that you don’t need much more than an open mind and willingness to explore. Cell phone service is weak, and there is no public Wifi; and Tangier is a dry island so BYOB. It’s the perfect place to unplug, unwind, and stroll around finding friendly locals to chat with. Learning about life on this isolated little spit of land straight from the people who live there is a real treat. Low elevation combined with rising sea levels have caused this island to shrink to a third of its size in about 200 years. Locals and scientists alike fear there won’t be an island here at all before too long, so don’t put this destination off until next time. A favorite place for solitude seekers is Dividing Creek off the East Wye River. Summer time weekends can bring a small crowd of boats to this bucolic little getaway, but they scare off quickly when Sunday night rolls around. However multihulls can find places to tuck way in and get privacy with a lush summer view. Protected, good holding, and even a little fishing and crabbing are draws to this spot. There are no towns, fuel docks, or marinas in there—you’d have to weigh anchor and scurry on over to St. Michaels for all of that—so provision, plan accordingly, and relax. Cruising boats looking northward to stretch beyond the Chesapeake should make a point to pull in enjoy the town of Havre De Grace on the Upper Bay. This is a popular spot for boats to stop over as they are readying to transit the C&D Canal. The quaint town offers antique shops, a nice choice of restaurants, and lovely little bed-and-breakfasts. It’s directly across the entrance from the canal, making a good place to wait for weather and time the tide. 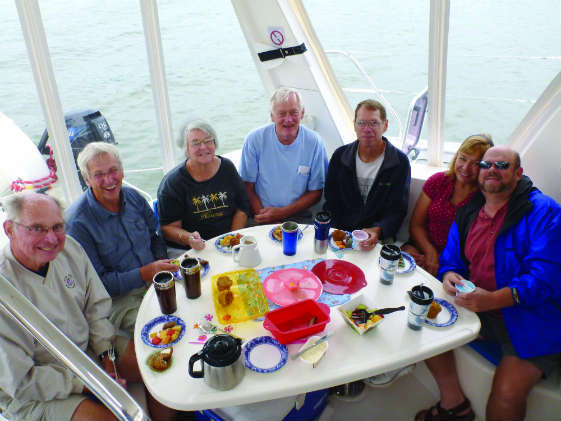 The fact is there is an anchorage for every taste, boat, and itinerary out on the Chesapeake Bay. The busy family with kids will want to seek out something with access to ice cream shops and playgrounds, and museums. For many, that means St. Michaels and Solomons Island. For the group of friends looking for a weekend of fun, heading right into the Inner Harbor of Baltimore offers nightlife and excellent restaurants for every kind of food. 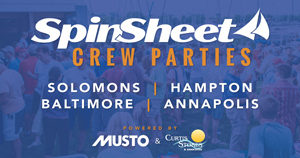 Boat geeks will be drawn to Annapolis where boats of all shapes and sizes ply the waters in a continuous dance all summer long. And with a shoal-draft multihull your choices are unlimited.